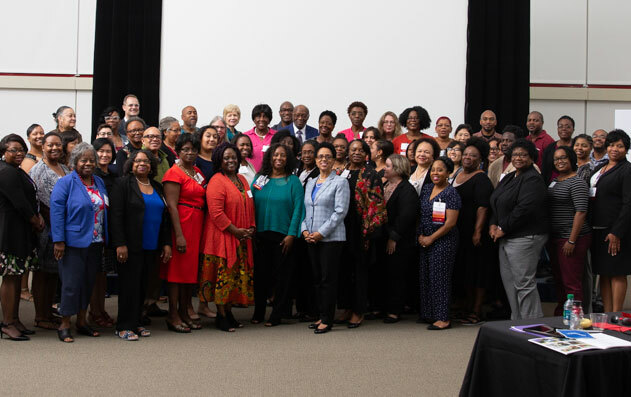 Atlanta, GA was the host city for the sixth biennial Membership Meeting of the HBCU Library Alliance. Sixty-six individuals representing fifty-one institutions convened at the Hilton Garden Inn Downtown Atlanta on Sunday and Monday, October 26,27 and at the Atlanta University Center Woodruff Library on Tuesday, October 28th. 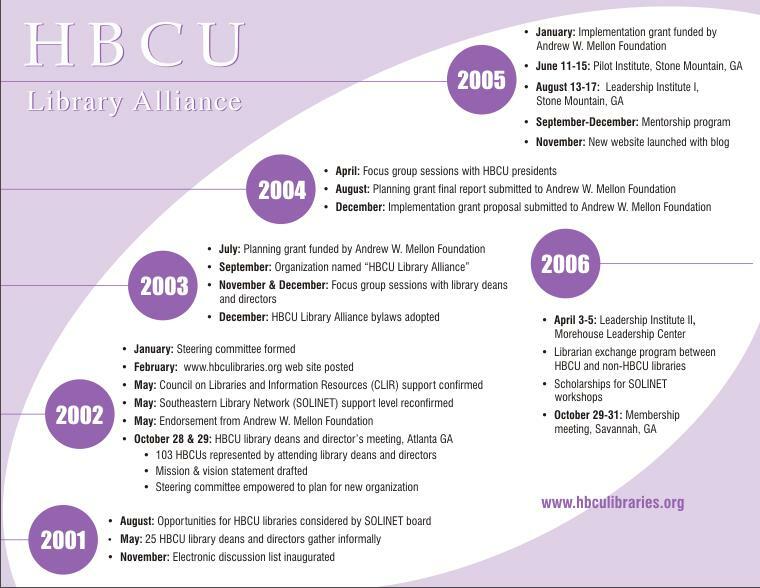 “Transforming Libraries for the 21st Century and Beyond: Sustaining the HBCU Library Alliance” was the meeting’s theme. The meeting also celebrated the 125th anniversary of the 1890 Land Grant Institutions. Eighteen individuals were first-time Membership Meeting attendees. Lorraine Haricombe, Dean of the University of Kansas (KU) Libraries, delivered the keynote address. She also serves as the Provost's designate for open access implementation at the University of Kansas. Haricombe is chair of the SPARC Steering Committee, a member of the ARL/AAU Task Force on Scholarly Communication, and serves on the PubMed Central National Advisory Committee. Forty-one colleagues supported The Decade of Investment Financial Challenge. The challenge is a component of the Alliance’s 2012-2015 Fundraising plan. 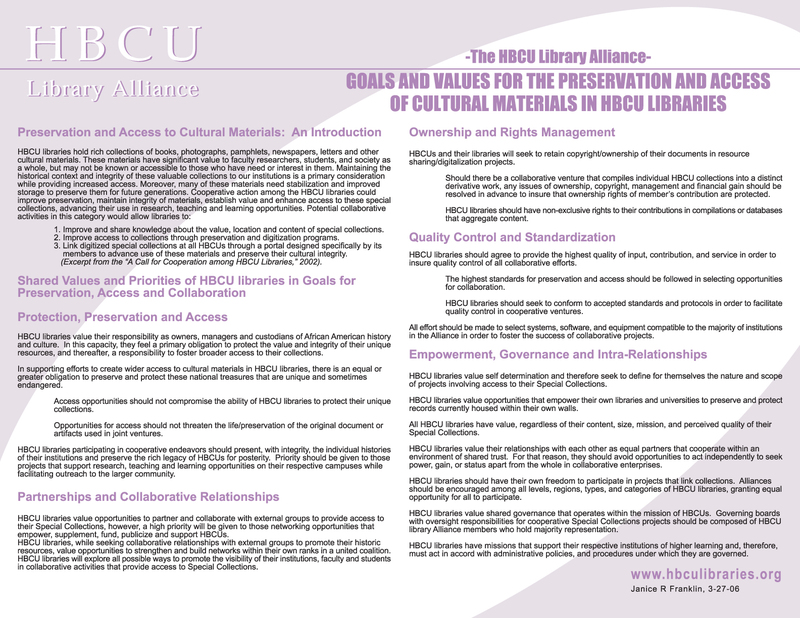 Members and partner organizations are invited to contribute at least $100.00 annually to support progressive service to member libraries.